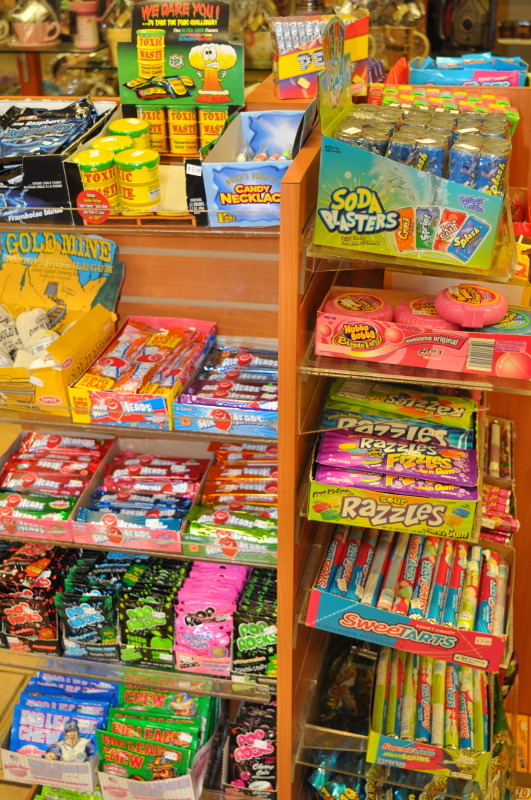 Our wide-selection of confectionary candies make the Candy Factory a popular destination for anyone with a sweet tooth. We carry unique and old fashioned candies from around the world and make the majority of or products right in our factory. Famous Lollipops from 1/8 lb. to 5 1/2 lbs. Kids of all ages always enjoy selecting their favorites from our pic-n-mix jars. Here you will find candy ranging from traditional jelly beans and jubes to super sours. There are approximately 64 types of pic-n-mix candies to choose from.